In this witty and heartfelt debut, one woman's unconventional journey to motherhood means learning to embrace the unexpectedEven the prickliest cactus has its flower...For Susan Green, messy emotions don't fit into the equation of her perfectly ordered life. She has a flat that is ideal for one, a job that suits her passion for logic and an "interpersonal arrangement" that provides cultural and other, more intimate, benefits. But suddenly confronted with the loss of her mother and the news that she is about to become a mother herself, Susan's greatest fear is realized. She is losing control.When she learns that her mother's will inexplicably favors her indolent brother, Edward, Susan's already dismantled world is sent flying into a tailspin. 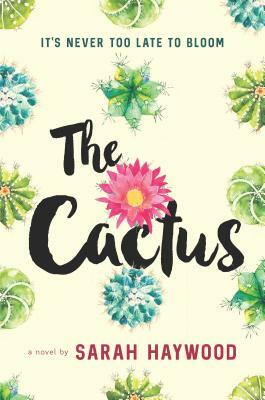 As Susan's due date draws near and her family problems become increasingly difficult to ignore, Susan finds help and self-discovery in the most unlikely of places.Featuring an endearing cast of characters and tremendous heart, The Cactus is a poignant debut and a delightful reminder that some things can't be explained by logic alone.